Hey Jarrod - good luck !! Skunk#11 should be at least about 1 week in veg, but I leave them in veg about 3 weeks usually, all depends on the available space. If you have enough space and let them veg for a few extra weeks you get bigger plants and more bud to smoke (-: Peace and Pot! Ya, colour mix 3 is the dogs biscuit. Power Plant, White Widow and Skunk #11. Take your hat off to dutch passion boys. The one what was new to me is Skunk #11, but dont worry it is QUALITY and I mean strong high and massive cola nearly 60cm and thick as my womans leg. I must try it again - incredible. And White Widow, Power Plant - you already know how good they are so I not repeat it. One more time - a perfect selection for any grower and 50 euro for all the weed you can grow. Who want more? not me man. I am happy. yeah, colour mix3. Got one of these packs in 2011 and grew them out in canna compost indoors and got a great result. Best part is that you get 3 different types of weed to enjoy, I don't know why more people don't run these multipacks. Dutch Passion should promote them more. All the seeds are different colours so you know which is which and like I said you get a choice of weed. I like the way DP include quality varieties and don't fob you off with varieties you have never heard of. 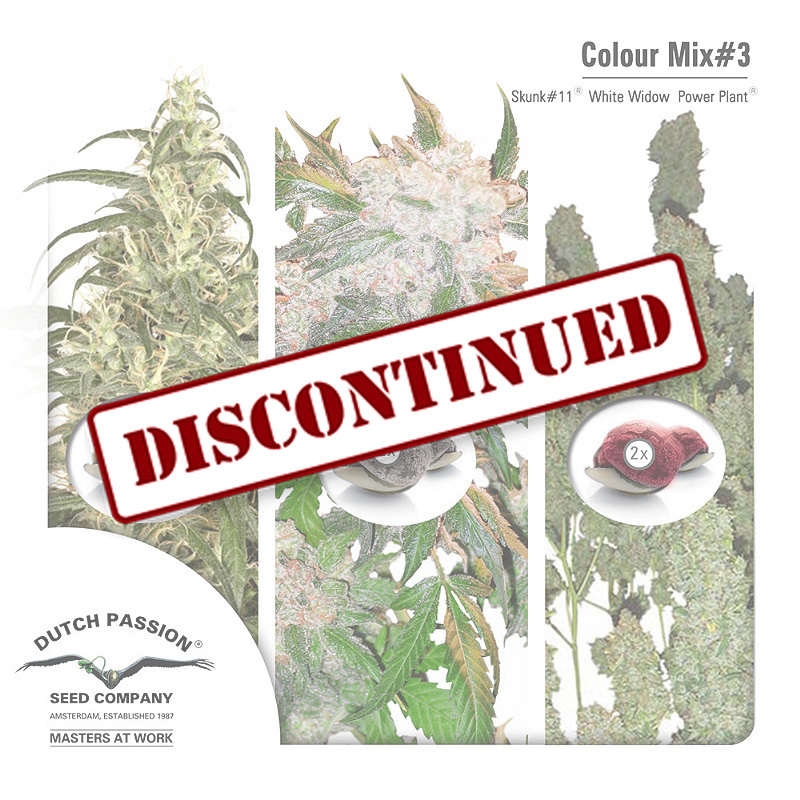 Nice one DP, next I want to see an 'indica' colour mix and a sativa version too.